Sydney is a destination that most people dream about. I would be at the grocery store and people would tell me that at the checkout almost every single time. I’d be in parent/teacher conferences at my daughter’s school and people would mention something about their dream to go to Australia. Whether it’s a stop-over on your way to somewhere else, or you’re here for an event that allows limited time, you can pack in a lot in the time you have. 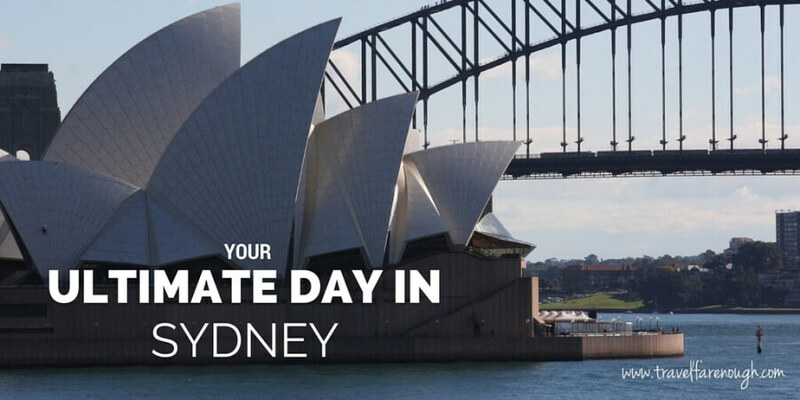 Here is our guide for your ultimate day in Sydney. Once you arrive at Circular Quay, head out toward the water and veer right. Follow the Quay around, past the restaurants and shops and you will be awed by her majesty, our queen, our jewel: The Sydney Opera House. Opened in 1973, it stands as an architectural wonder and has been listed as a UNESCO World Heritage building as of 2007. Go up and touch her. Bathe in her glory. She is remarkable…and the views around her aren’t bad either. 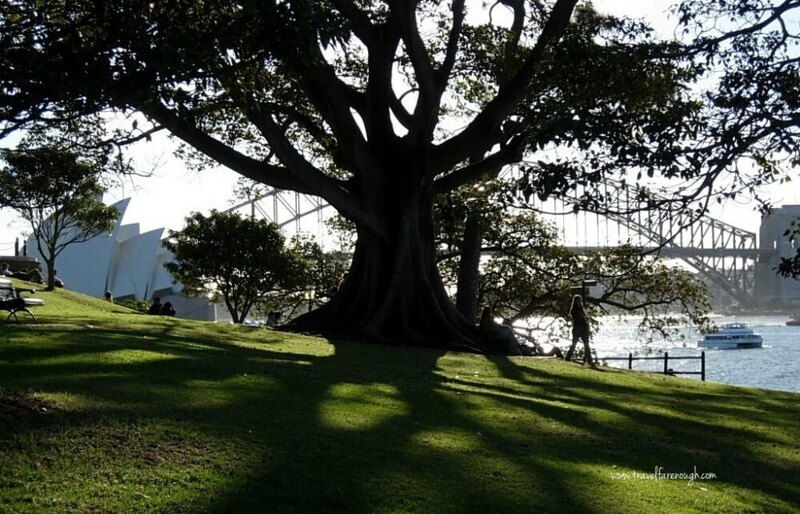 Once you’ve had your fill of the Opera House (for now), continue into the Royal Botanic Gardens. The rose gardens, the herb gardens, the succulents, the walk between the Garden Shop and the Lion Gate Lodge…It’s all beautiful to take in. So have a seat and savour it all. TIP: There are free lunchtime guided walks, available at 1pm Monday-Friday from the Information Counter at the Palm Grove Centre. 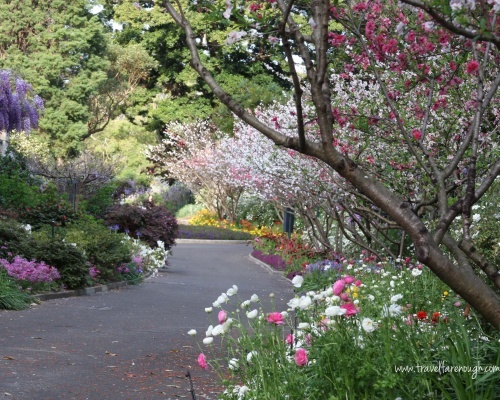 Click here for a map of the gardens for your own self-guided walk. Before the day gets too far away from you, head back to Circular Quay. It’s time to check out an iconic Aussie beach. No, not Bondi. I’m talking about Manly Beach. 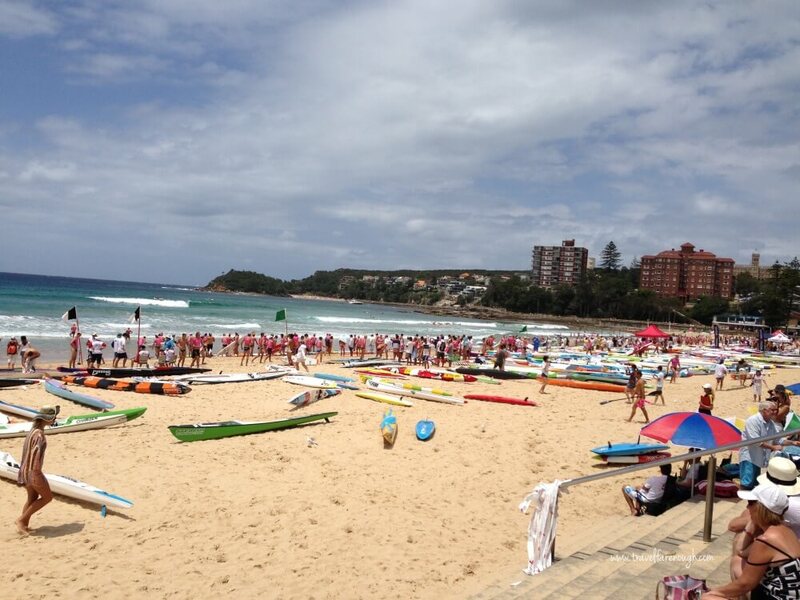 Manly is touristy, but it’s worth seeing it to experience the true Aussie surf culture. Once in Manly, wander down the Corso toward the beach. 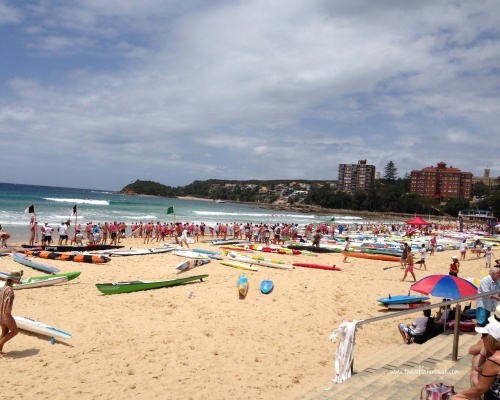 If you are lucky, the Surf Life Saving Club will be running an event. That’s always prime entertainment. If you are hungry, this is the spot to grab lunch. Our recommendation is pick some good ol’ fish and chips wrapped in paper, from the Manly Fish Café to enjoy down by the beach. TIP: Watch out for the seagulls. Seriously. They will be battling it out for every morsel they can. As we’ve experienced, they will dive-bomb your package of chips when you aren’t complying with their wishes! After lunch, wander around the area. It’s so lovely here. 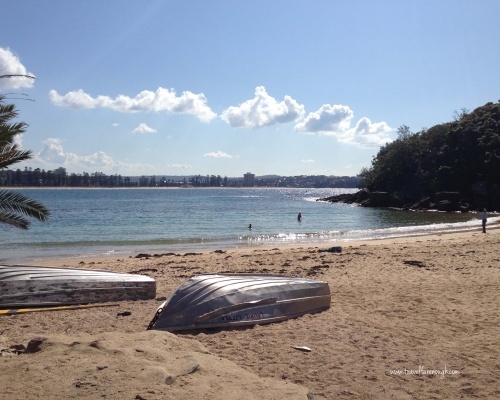 If you have time, stroll over to Shelly Beach. It’s to the right from Manly. 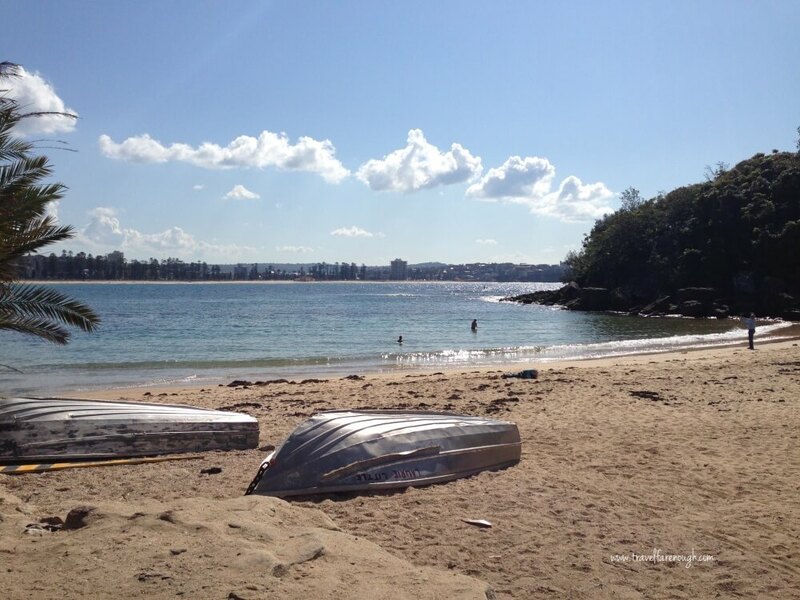 Follow the Marine Parade which hugs the harbour over to the nook of Shelly Beach. It’s time to head back to the city. Yes, I know, it’s hard to leave this gorgeous spot, but more awaits you! Head back to Manly, walk back down the Corso and head to the ferry. Once you board, pick your spot and relish the views as you return to Circular Quay. 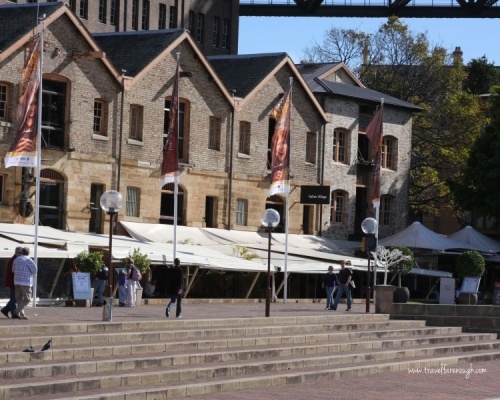 Once you return to Circular Quay, turn right and head to The Rocks, where the new Australians settled after the European discovery of Australia. You can see the original buildings from that time throughout this area. Here, you’ll now find pubs, souvenir shops, duty free and the like. TIP: If you would like more information about The Rocks, a company called The Rocks Walking Tours offer tours every day from 10.30am and 1.30pm. 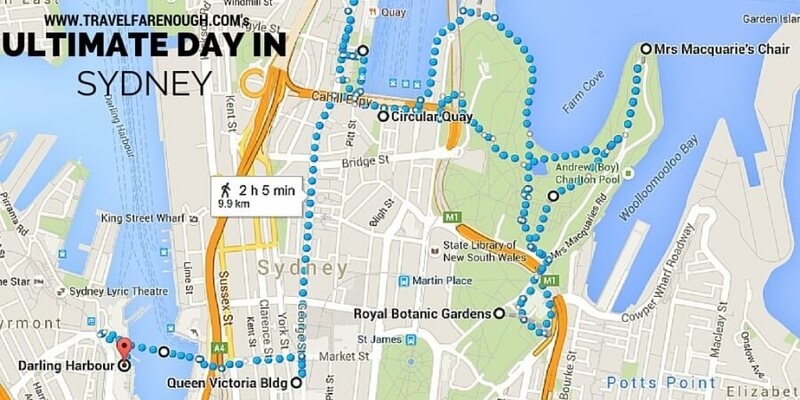 Once your feet are about to fall off, head back to Circular Quay. Take the train from here to Town Hall. Town Hall is on the City Circle line. 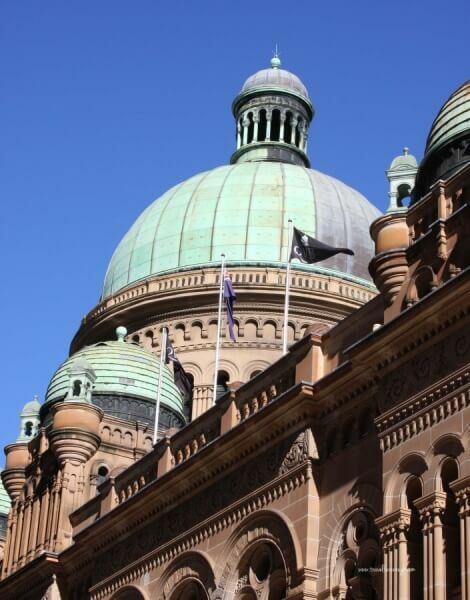 After disembarking the train, follow the exit signs to the Queen Victoria Building (QVB). This is Sydney’s premier shopping centre and it’s not your average shopping either. You’ll find everything from discount home wares on the bottom level all the way to antique jewels and designer labels on the very top. It’s worth a wander to admire both the architecture of this building, as well as to peruse the shops. There is so much history with this building and a tour is recommended if you are looking to find out more. Check it out at the concierge desk. The tour takes about 45 minutes and at publication, is around $15 for the tour. If you’re limited on time, save the tour for the next trip, because there’s still more to see! 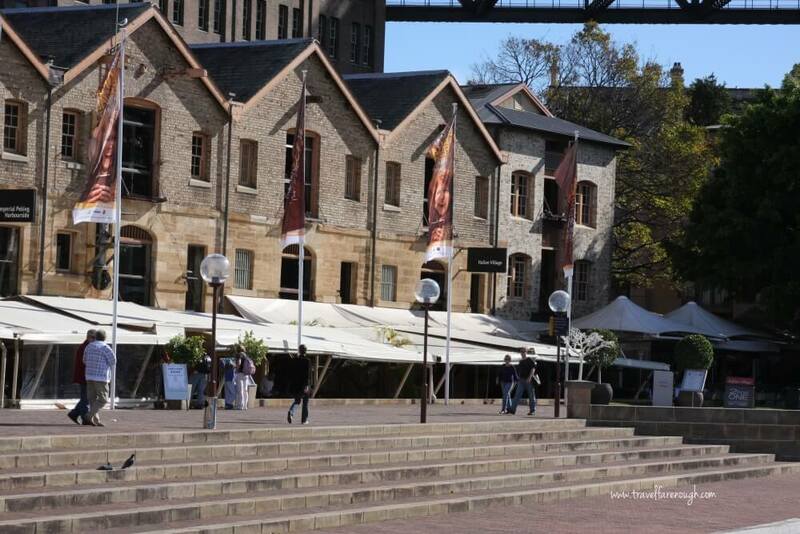 Head down the hill to Darling Harbour to finish off your self-guided tour of Sydney. Here, stroll around the marina area, check out the Sydney Aquarium if you would like (it’s on the right as you reach Darling Harbour) or simply find a restaurant with a great view and order up and well-deserved beer or wine. There are many restaurants in this area as well as further along at the King Street Wharf. There’s something for every budget. We would recommend checking out Trip Advisor for the latest reviews as everything we’ve had here is great. Depending on the time of year, you may be lucky to see fireworks from Darling Harbour. 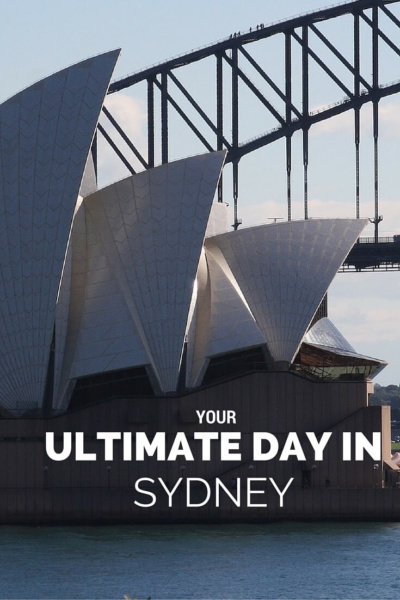 It’s the perfect way to spend your ultimate day discovering Sydney. 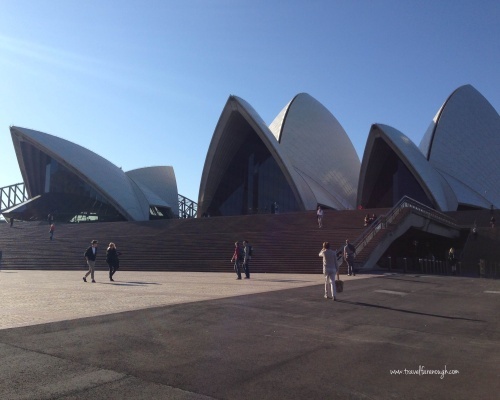 If you’ve been to Sydney, what was your ultimate experience? Leave your comment and be a part of our community. Check out the Art Gallery, Powerhouse Museum, Darling Harbour for some food (once the refurb is complete), Chinatown, Luna Park, Kirribilli. If you are here for a while get out onto the Harbour in kayak or boat and see the place from the water. Check out the Mint for some colonial history, the Museum of Sydney, Customs House. Lots and lots and lots to do. If you are here for a while get to Newtown or Paddington or Everleigh Markets on a Saturday morning for the markets – organic food, secondhand goods, and handmade items…and the food!!! 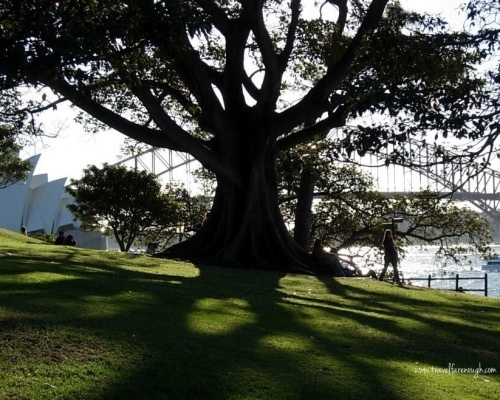 Do a walking tour of Marrickville, Leichhardt or Surry Hills.